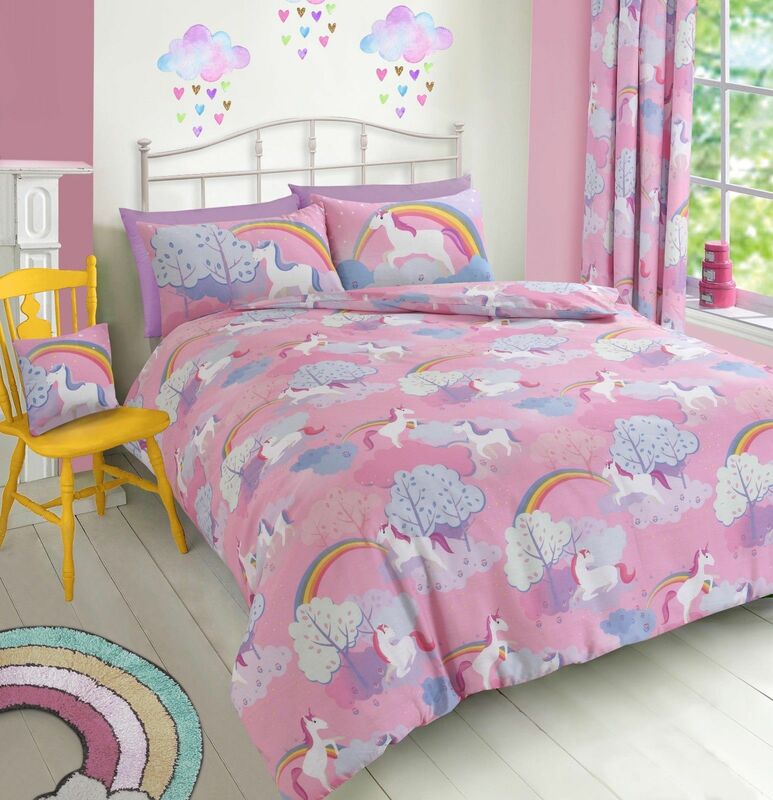 Single Duvet Cover + 1 Pillowcase Double Duvet Cover + 2 Pillowcases Pair of Curtains 66" x 54" Pair of Curtains 66" x 72"
UNICORN RAINBOW duvet cover set has been carefully created from fine quality polyester & cotton mix fabric material. 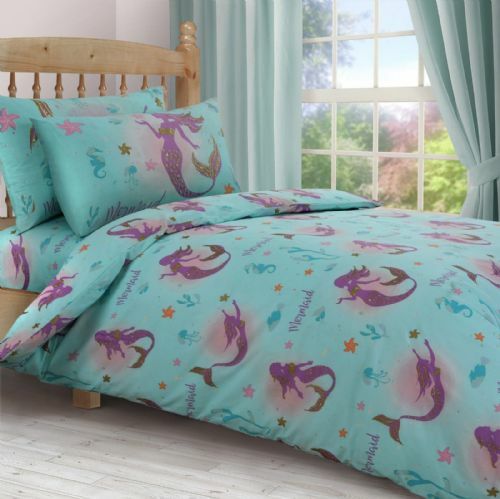 Lovely colours, features a superb bold printed design throughout the duvet cover and pillowcases. It will add timeless style to any kids bedroom. a simply value for money product.